A late October snowstorm over Rocky Mountain National Park leaves the area around Bear Lake and Glacier Gorge covered in fresh powder. 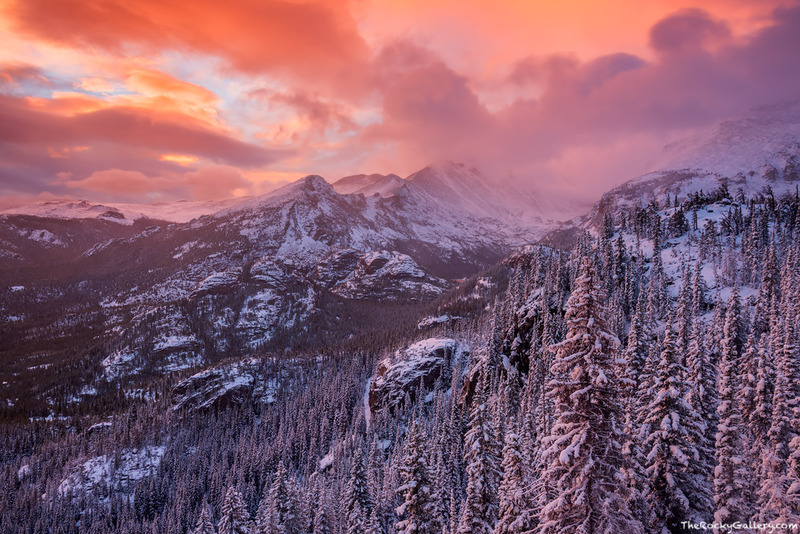 Storm clouds breakup over the summit of Longs Peak as sunrise sets the sky ablaze in color. I love these mornings in Rocky Mountain National Park. The silence and quiet after the landscape has been covered in snow is amazing. Combine the pristine landscape with a spectacular sunrise and you have an experience that will be etched in your memory for a lifetime. Photo © copyright by Thomas Mangan.